Broadway bound and loving it. Our first of several interviews with PapiBlogger and Elena at the New York offices of The Vidal Partnership. I don’t know if it has anything to do with the fact that I’m in media through PapiBlogger and our other blog and conference business the Hispanic PR Blog but my kids love to speak with reporters. On our first full day in New York, journalists from Hispanic daily Diario La Prensa, Impacto Latin News and Disney Magazine, among others, met with us at the offices of our good friends from Hispanic advertising and PR agency The Vidal Partnership. 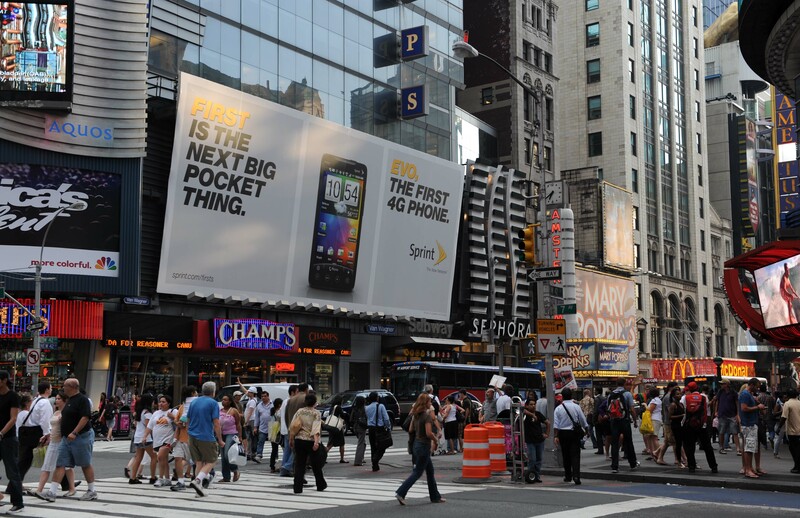 The reporters came to hear about our family’s journey and also learn how we used our sponsor’s Sprint Nextel technology to pull off our blog, video and photos while on the road. 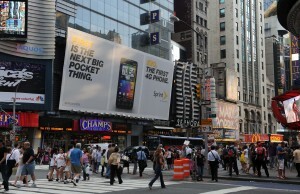 The kids thought it was funny to find a giant billboard advertising our EVO phone. Jonathan and I recalled for one reporter how we used our HTC EVO 4G phone to watch the LeBron James “Decision” announcement where he wisely said he was picking to go to our hometown Miami Heat live, right in the shadow of Mt. Hood in Oregon. Our EVO has been the primary Internet connection we’ve had to upload text, photos and videos throughout the entire blog part of our journey. 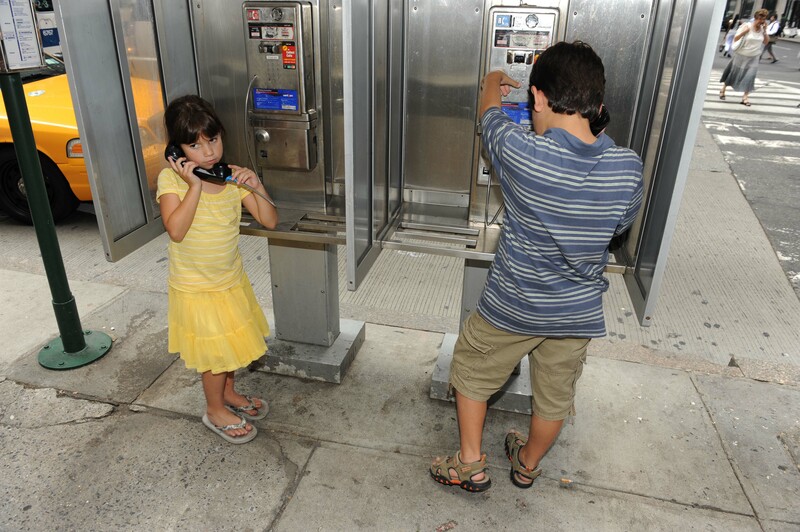 The kids begged to use an old school phone to call their mom but we didn't have change. On our first full day in New York, journalists from Hispanic daily Diario La Prensa, Impacto Latin News and Disney Magazine, among others, met with us at the offices of our good friends of Hispanic advertising and PR agency The Vidal Partnership. The reporters came to hear about our family’s journey and also about how we used our sponsor’s Sprint Nextel 4G technology to pull off our blog, video and photo postings while on the road. Elena told reporters that her favorite states were Oregon, where she saw and played with both snow and sand on the same day and California because she visited Disneyland there and also got to help serve other families at the Ronald McDonald House. I’m sure Sprint doesn’t want me to advertise this fact but it just might be that the EVO is indestructible because we’ve dropped it four times. At most my phone will fall once a year but this road has been hectic with three kids. I didn’t want to push my luck with the EVO any more so we headed to the Sprint store and bought a protective case for my beloved EVO. 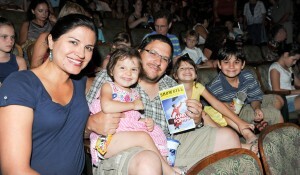 Briani held up well with "Mary Poppins" until intermission. It was all downhill from there. At night it was off to Broadway for Disney’s “Mary Poppins.” I have to be honest with you, I didn’t think the musical would be bad because, after all, this IS Broadway but “Mary Poppins” blew away my expectations. The kids instantly called this experience one of their top three favorites of the whole trip, which was a big relief to us because Broadway is expensive. 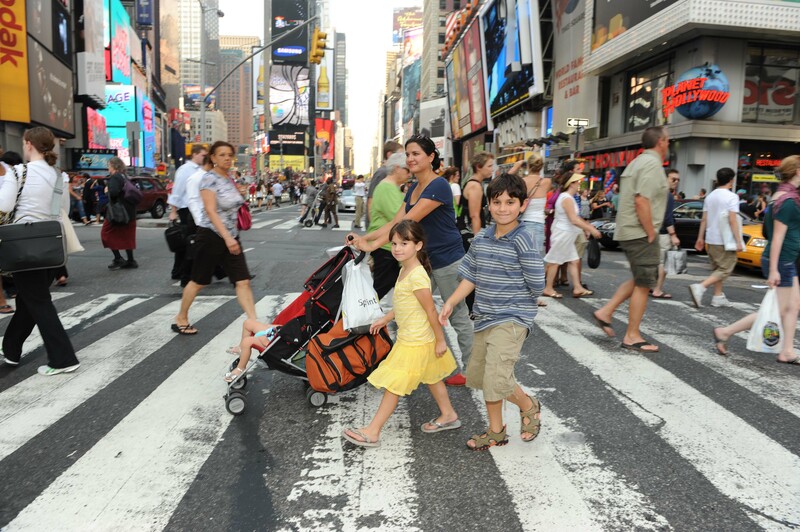 – Right now, the only Broadway plays you can take children under four to are “Mary Poppins” and “The Lion King.” There are more options off Broadway but these are the main ones that you can take your kids to on Broadway. – Some of the best seats in the house are in the first few rows of the center Mezzanine. We had a wonderful view and it was reasonably priced so it worked out very nicely for us. – If you’re a big “Mary Poppins” movie fan, don’t expect to see the same thing. The playwrights have wisely adjusted the original story but it works beautifully here. 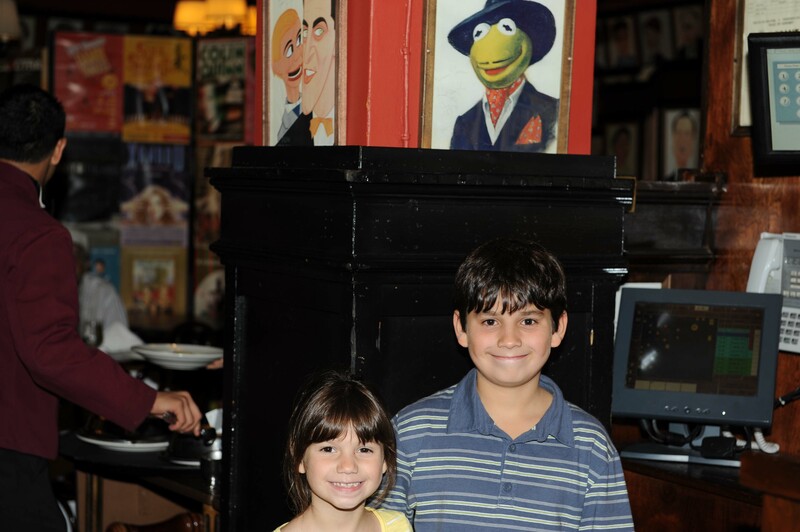 The kids got very excited to have their picture taken in front of Kermit's "Muppets Take Manhattan" photo that figured prominently in the scene shot in Sardi's restaurant. 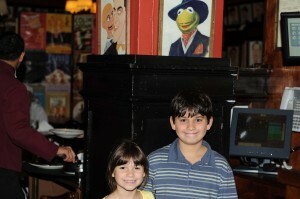 Our fun meal of the day took place at Sardi’s restaurant, right near Broadway. Sardi’s is an iconic restaurant to New York but what was surprising was that Jonathan instantly recognized where we were the very moment we set foot inside the restaurant. Our host said he was right and took Elena and him around to the various parts where the movie was partially filmed. If you’re taking a toddler into a play, like we did with Briani, have a contingency plan for what to do if your child acts up. Briani was a model citizen for the first full half of “Mary Poppins” but went bonkers right after intermission. Angela and I hadn’t planned for Briani to act up like she did so we each missed a large portion of the second half of the play. We had to watch what we could on a 90s-style, non-plasma TV. Have a contingency plan for fuzzy kids.